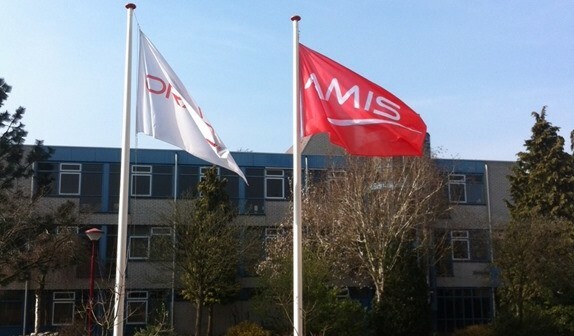 Today – Tuesday March 18th – is a special day at AMIS. Together with the Oracle Applications User Experience Team, we host the UX Expo – a combination of live demonstrations, inspiring lectures, the secret chamber for the really fancy stuff and many opportunities to discuss the man-machine interaction of the future. 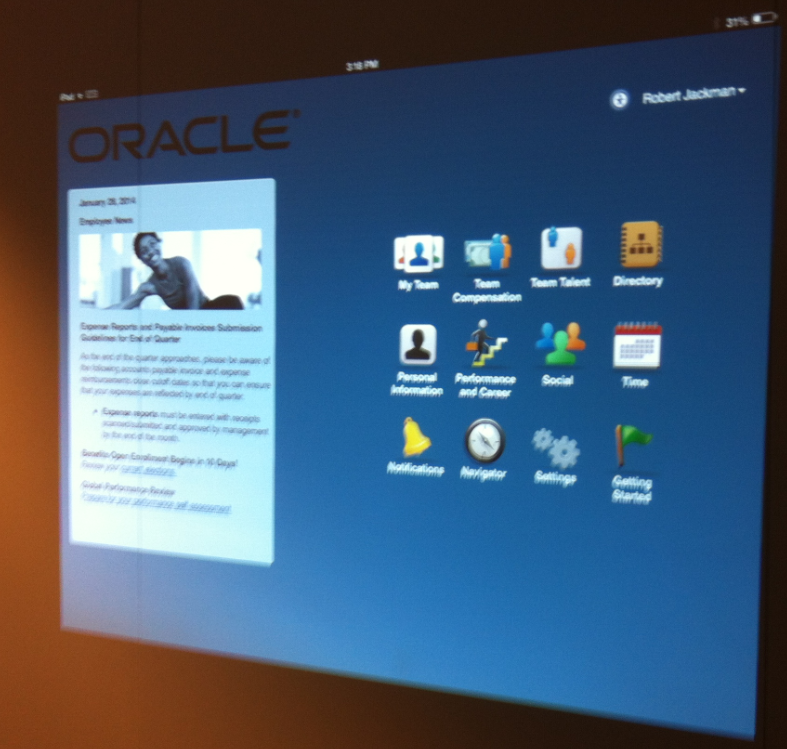 This event also serves as the official launch of R8 of Oracle Applications Cloud – the next level in simplified UI. In this live-blog, I will try to capture some of the action on this event. Note: if you happen to be in The Netherlands today, you are welcome to come by in Nieuwegein and get a little UXposure yourself. The afternoon – between noon and 17.00 is the best time for such a visit. 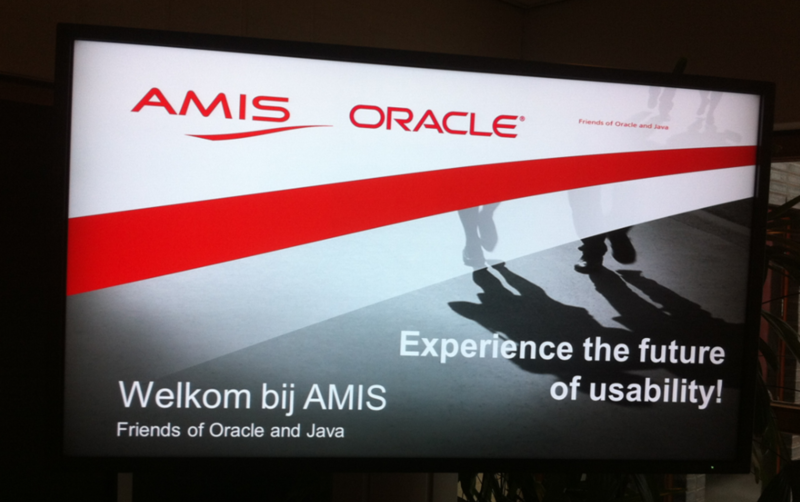 For more details on the event, see http://www.amis.nl/userexperience. 23:00 – The building is now almost deserted. Most demonstrations have been packed, most banners folded and some of the dishes washed (but still a lot of washing up to go through). It is pretty incredible how many people found their way to this User Experience today. And very surprising: how long they stayed! We had anticipated people arriving, walking through the demo grounds, attending one or two sessions and after two hours or so being well satisfied. And maybe they were, but many stayed for far longer, attending as many as six or seven sessions, revisiting some of the demo booths and generally having a good time for a long time. Equally incredible was the enormous effort put into this event by so many people, from both sides of the Atlantic. 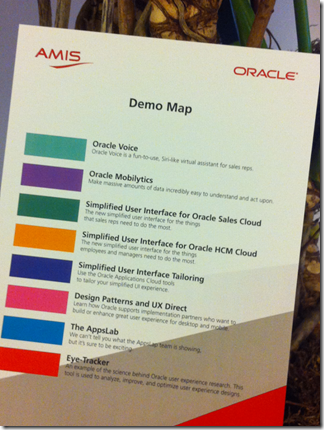 For the Oracle Apps User Experience team as well as for AMIS, this was a signature event. It demonstrates perfectly what we both stand for: ideas blending into vision, energy and drive aggregating into passion and a willingness or stronger put a desire to share with the rest of the world what we belief in. 20:03 – All the presentations are done now.Three rooms were each running sessions consecutively from 18.00 until 20.00 hours. Meanwhile the demonstrations were buzzing. The demonstrators were gradually losing their voices. The Secret Chamber has closed shortly after six – after it has been going non-stop since a little after noon. My last actions of the day came in rapid succession. 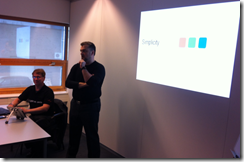 First Jeremy and I did a session on the the vision for cloud applications to another interested audience. I had to rush out of that session to go to our biggest presentation room where about 100 people had assembled for the Java 8 launch. 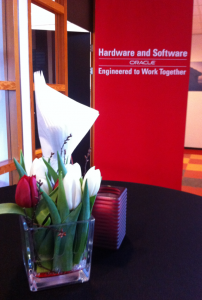 About 30 minutes into our presentation, the general availability of Java 8 (SE and SE Embedded was announced (http://t.co/NzQ75DVl5g and http://t.co/hUBBAhPiUT ). This session was conducted in collaboration with First8 – our sister company. 17:51 – Better hurry up preparing for the Java 8 launch presentation at 18.45 and 19.15, because before that I do another session with Jeremy Ashley on the vision and strategy with UX at Oracle. 17:32 – I have just presented together with Jeremy Ashley, Oracle VP for Usable Applications and the resident hot shot on user experience. And when I say we presented it is a bit like the mouse telling the elephant about how much noise they are making walking across the wooden bridge. Jeremy obviously did most of the talking and I was the beautiful assistent. The three levels of engagement – Glance, Scan (including quick, simple actions) and Commit. The third means actually getting down to business – a more elaborate investigation or a task that involves more than flipping a switch. Performance does not need to be subsecond on this third level. Some comments Jeremy made about APEX may be interesting to a lot of you: Oracle is working on the application of the UX concepts to APEX, including the simplified UI with the Springboard and the levels of engagement. This means that it is likely that in a not too far off release of APEX, creation of the type of user interface that is exposed in the R8 Sales and HCM cloud will be possible. Jeremy also stated how his team likes to use APEX to quickly prototype an application, to very rapidly create a working piece of software that can be used to demonstrate to users and actually have users working on the proposed design very quickly. 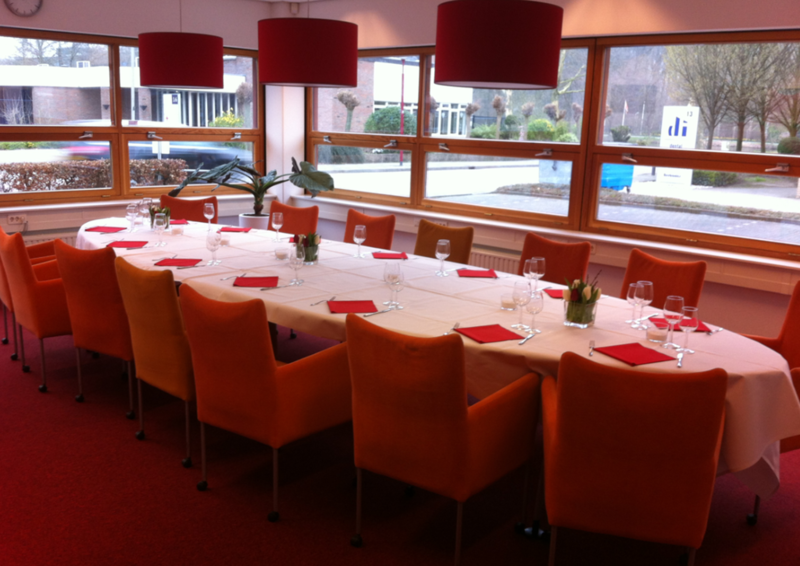 preparation of the dinner buffet (overhead) and R8 screenshot (below). We discovered this case of unfortunate design between two toilet doors somewhere in our building. 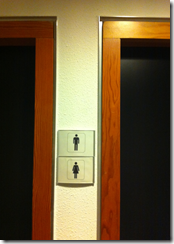 One of these doors leads to the men’s lavatories and the other to the ladies’ facilities. The signs are supposed to indicate which is which. The picture to the left shows the audience in one of Jeremy’s sessions. 14:57 – Done my second presentation to a full house. Good fun. Maybe two slides too ma ny. And one smart guy too many (he almost spoiled the point I was trying to make – well done Theo!). Visualization as in presenting data in a way that makes it interpretable, usable to the end user certainly came across in this session. Some people left in the middle of it because of their pre-scheduled slot in the Secret Chamber where the real goodies are. 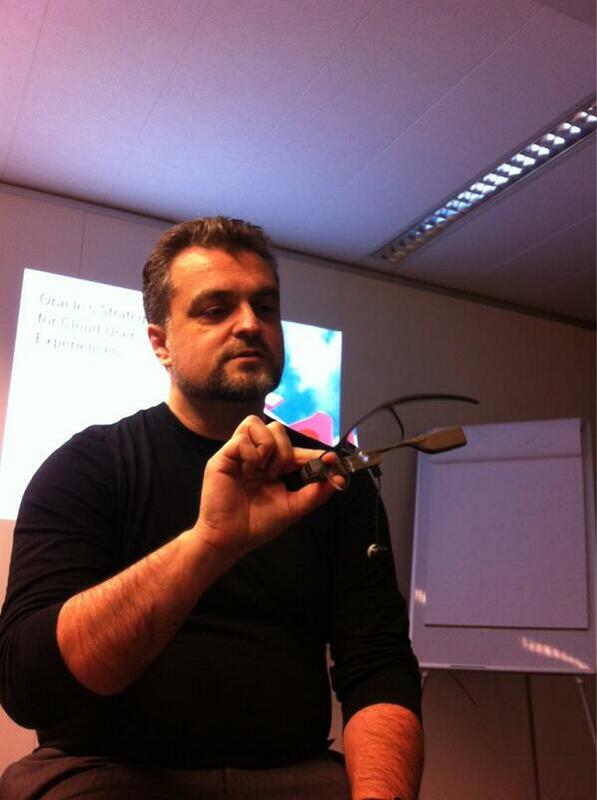 13:55 – In fi ve minutes I will do my presentation about visualization. One picture beats 1000 words. And it is through! I will post my presentation later on. It is great to see so much interest in some of the presentations. And 24 more of them still to come. All slides will be made available after the event. 12:35 – Before too long, lunch will commence. I am not sure whether all 500+ attendees of today will have this setting for lunch. 12:21 – Wow, there is so much going on! First lecture started in the Vision track (on HTML 5). SRO!! Probably we should repeat that session. Students are asking many challenging questions. Excellent feedback! 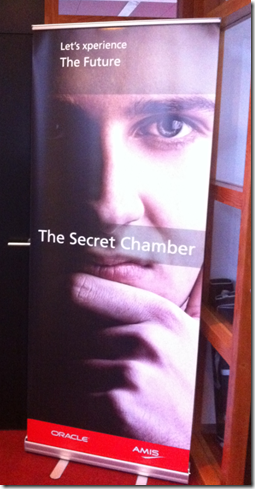 I just did a very quick first tour of the Secret Chamber. 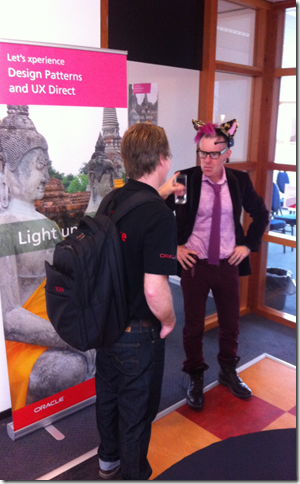 Of course I cannot write about what I saw there… You should have been there yourself (and signed the NDA). However, it was revealing and inspiring. User engagement, gamification, simoplified UI, cloud integration are just few of themes that were touched upon. In 5 minutes I will do my first session, together with Tim, on extensibility of business applications. Putting the end user in the driving seat, allowing them to tailor and fine-tune the user experience of a cloud based (SaaS) application. All built-in to the application, all browser based controllable. Tonight, Tim will present on the technology available from Oracle to actually build this kind of extensibility right into your applications. 11:37 – The lecture program has started too. 30 lectures today, in three parallel rooms. 30 minute introductions into key topics. Scratch the surface, get some thoughts running. Then time for Q&A, brainstorming etc. 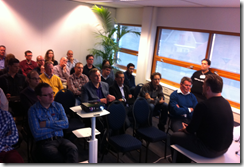 The full lecture schedule features distinguished speakers from six different countries, including Oracle ACE Directors Lonneke Dikmans and Sten Vesterli and many presesentatives from the Oracle UX team. See this link for all presentations – title, abstracts, speakers and timing. 11:05 -At 11 o’clock, the event officially kicked off. At 10:25, the first students started to arrive. 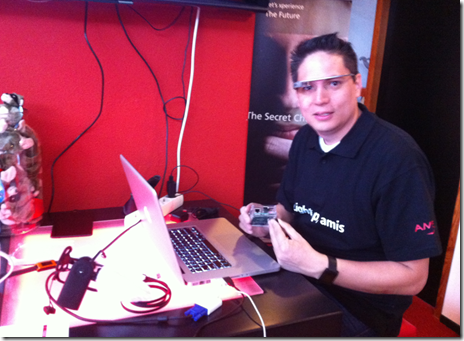 Before too long, the Google Glass & other wearables demo was heavily attended. 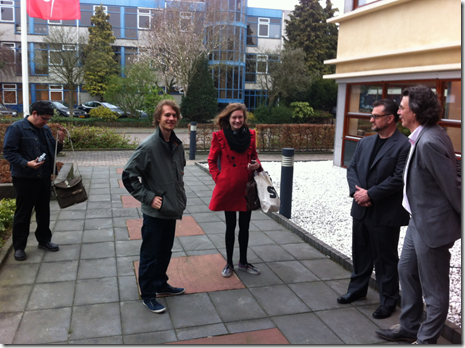 Jeremy is currently being interviewed by two Dutch IT media (Java Magazine & Web World). More and people are arriving. The demos have been fired up. Coffee is flowing. The buzz is materializing. It’s an experience already. office’ but today it is the official event venue). It is impressive what has been done to the building. It truly can be called a venue now. So many people hard at work on the final preparations. 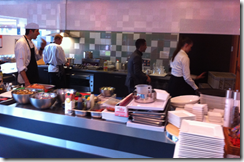 Cleaning, installing equipment, heating up catering machines. The barrista is getting going. The vibes are in the air. 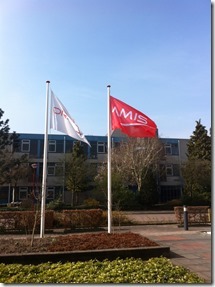 07:15 – Getting prepared for what will be one of the most spectacular days in the history of AMIS. Yesterday, our entire office building has been transformed into one large showground with all kinds of demonstration setups. We are expecting well over 500 attendees throughout the day. It is remarkable how many details we have to take care of – parking, toilet paper, catering- to name but a few. Of the 30 lectures that take place today, I am participating in four – so some preparation for those is in order. Then tonight, we have interwoven the Java 8 launch into this event and I will present two additional sessions on Java – history, present and future. 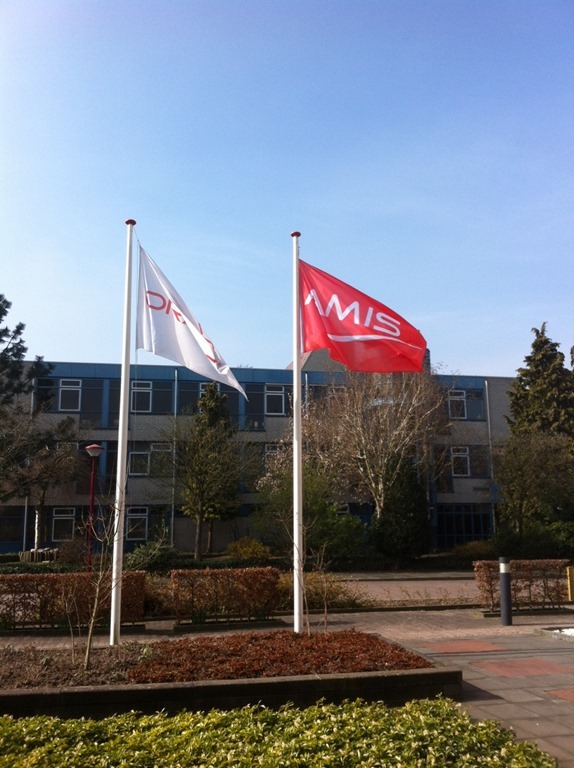 06:23 – After months of preparations, the day has arrived. 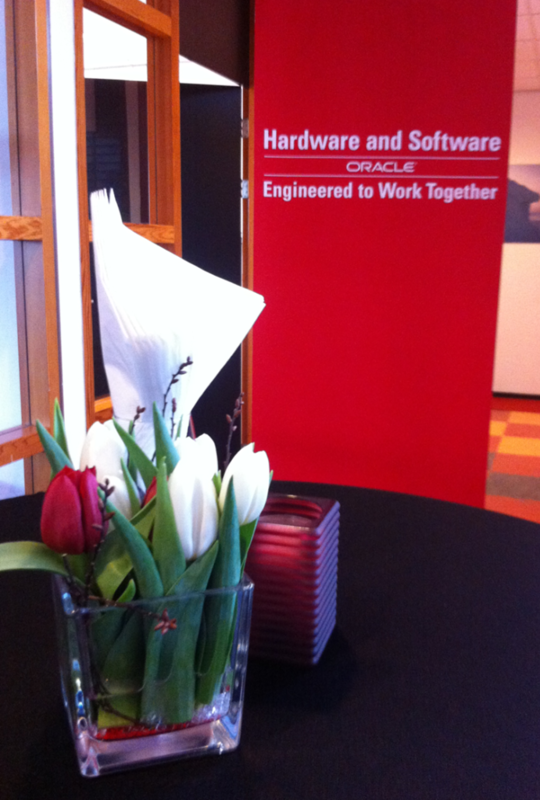 The UX event that we have been working woards. Last night we had a very nice dinner in a medieval palace in the city center of Utrecht, with the Oracle UX team, the UX Advocates – Sten Vesterli and Lonneke Dikmans – and assorted AMIS staff. Today is the day. It should be pretty amazing.